October is upon us – the scariest month of the year. Do Friday the 13th, Halloween and darker days full of things that go bump in the night give you the heebie-jeebies? Well, you can either embrace them with an immersive Hammer House of Horror experience, or ignore them with distractions from London Cocktail Week, Moniker Art Fair and an early morning rave. The choice is yours. 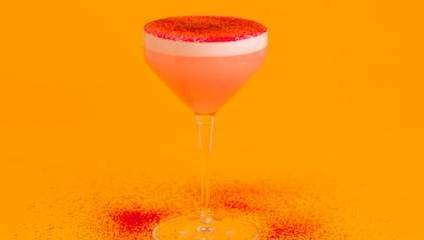 Taking place in over 250 bars across the capital, London Cocktail Week is the world’s biggest cocktail festival celebrating the best our city has to offer in the way of libation. Every participating bar will serve up a £6 signature cocktail to anyone with a festival pass – available for £10 online – meaning you can explore fancy new bars without hitting the wallet too hard. London Cocktail Week takes place across the city from 2-8 October. Festival passes cost £10. From 3-31 October, Hoxton Hall plays host to The Soulless Ones, an immersive theatre experience from Hammer House of Horror. Travel back to Victorian London and explore the former music hall – now a hive of seething vampires and supernatural goings on – in a performance that lasts over two hours and builds to a shocking finale. Should be just the ticket to entertain and terrify in equal measure. Hammer House of Horror Live: The Soulless Ones takes place at Hoxton Hall from 3-31 October. Tickets from £48.50. Now in its eighth year, Moniker Art Fair returns to East London’s Old Truman Brewery to take over their enormous, newly refurbished top floor. An alternative to Frieze London (which also takes place this week) Moniker has more of an urban slant, and this year’s edition has tripled in size, focusing on the subcultures that currently influence contemporary art. There’s also street food and DJs, naturally. Moniker Art Fair takes place at the Old Truman Brewery, Shoreditch, from 5-8 October. Day passes are £10, or £20 for the whole event. Street Feast's Giant Robot, in the heart of Canary Wharf, is an covered rooftop market crammed full of the finest pop-up food and drink stalls London has to offer. This Friday the Late Night Tales DJs will be spinning their favourite songs plucked from the many mixtapes they’ve released in collaboration with the likes of Jon Hopkins, Bonobo, Four Tet and more. Good music, good food, good drink – what’s not to like? Late Night Tales DJs x Street Feast takes place at Giant Robot, Canary Wharf, on 6 October. Entry is free. The worldwide phenomenon that is Morning Gloryville returns to Ministry of Sound for another early morning sober rave. From 6:30-10:30am, revelers can wake up in the best possible way – by dancing full-pelt (the incredible African-tinged, feelgood electronica of Afriquoi grace the decks this time around), dropping in to yoga sessions, sipping on freshly-roasted Fairtrade coffee and superfood smoothies, eating delicious Rawsome snacks and generally feeling the vibes. It’s a hell of an experience, complete with free hugs. Morning Gloryville’s Summer of Love: Finale takes place at Ministry of Sound on 5 October from 6:30-10:30am. Tickets cost £20.